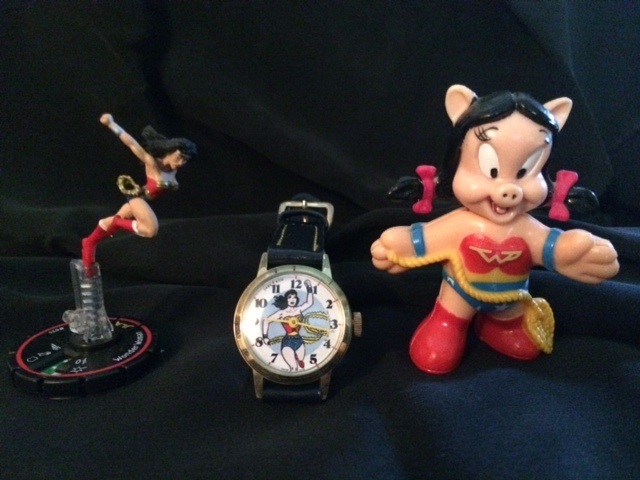 First off, I want to claim total and absolute innocence in the hundreds of Wonder Woman items, as well as comics, that made their way into my home over the years. Ha, you don’t believe in my innocence when it comes to Wonder Woman, do you? 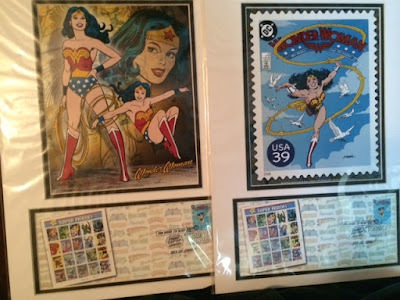 You might be right, so let me explain while you are looking at some photos of selections from my Wonder Woman collection..
Once upon a time, there was a fun event called the Dallas Fantasy Fair run by my good friend Larry Lankford. 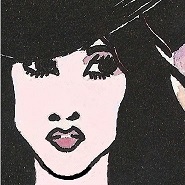 The DFF featured books, comics, collectibles, gaming, dealer room, and panels for writers and artists. I sort of accidentally washed up on that shore when invited to pontificate (like I actually knew much about anything, but I’m a writer, so . . .) on panels. Okay, that was all well and good, but everybody there collected something and insisted I must collect something. 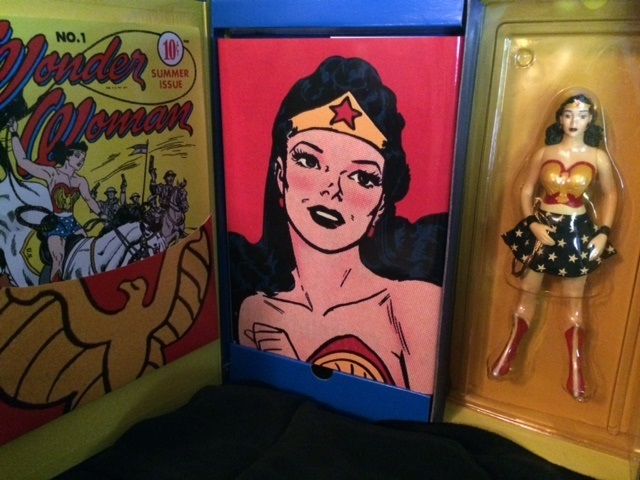 I’d always been a Wonder Woman (created by William Moulton Marston with artist Harry G. Peter in All Star Comics #8, 1941) fan, so the great WW seemed like a good choice. And here’s where the innocence comes in. 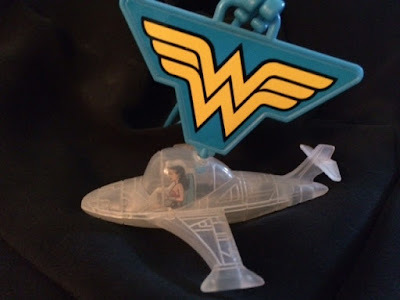 Collectors were horrified that I didn’t have much of a collection (well, I did have a few raggedy Wonder Woman comics), so they immediately began solving my problem. They found WW items at garage sales, flea markets, antique shops, estate sales, con dealer rooms, and who-knows-where, and then presented them to me at DFFs. I never knew what I’d see next because I had no idea there were all these terrific vintage items just waiting for a home—my home. 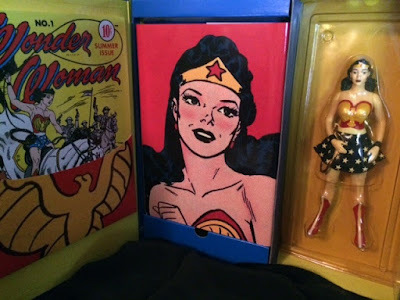 About this time I began to feel like a real Wonder Woman collector, so I started amassing backlist titles, along with current ones, and new Wonder Woman action figures. 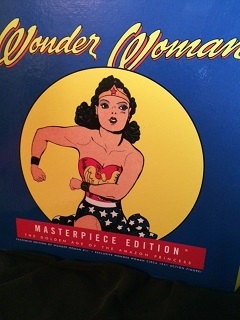 I snagged the complete and fabulous Lynda Carter Wonder Woman television series (1975-1979) that is positively inspirational for all. And yet, my WW collection crew and I were greedy. 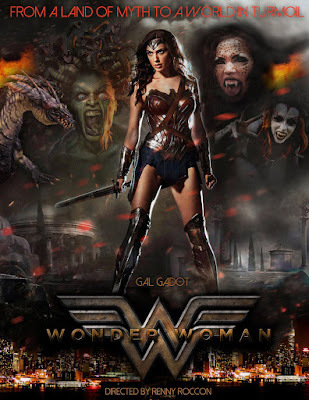 We wanted Wonder Woman up on the big screen in her own live action film. 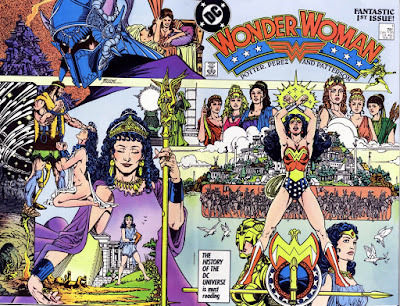 Rumors about the much anticipated WW movie came and went, but they usually went bust. At one point, Josh Whedon stepped in to direct WW, so we were over the moon, thinking of the fine job he’d done with Buffy the Vampire Slayer, the television series (1997-2003), and Serenity, the film (2005). But, once more, we were let down when he dropped the project. About the time we were losing hope, here came news that Wonder Woman, the movie, was actually in the works. Could it be true? By now, you know the answer to that question. Yes! Well, we went to see Wonder Woman directed by Patty Jenkins (2017), and we just kept pinching ourselves to be sure we were actually viewing WW on the big screen. What can I say? It’d been a long wait, but well worth it—not just for us but for folks around the world. Wonder Woman broke all kinds of opening weekend records, and we weren’t in the least surprised at her big win. She’d won our hearts a long time ago. Yes, I do! And I love your YA novels too! I have heard of the Dallas Fantasy Fair, though I never got a chance to go. Your collection is *awesome*. Thanks! Wish you'd been at the DFFs. We'd have had great fun!